Something that little bit different, these Personalised Silver Collar Stiffeners are the perfect wedding day gift for the groom, the best man, and the father of the bride. 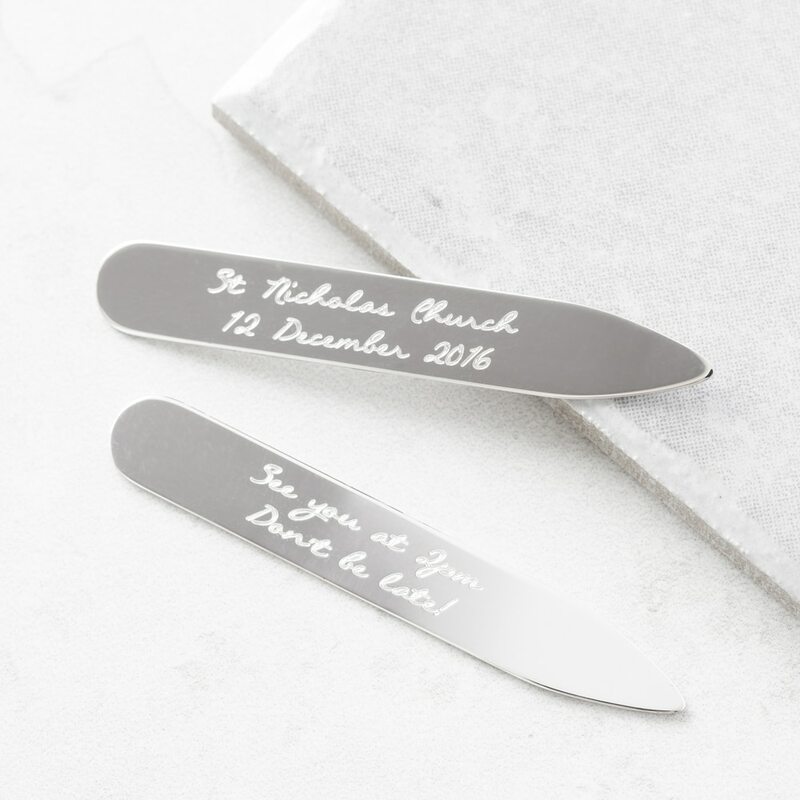 Suitable for use with all dress shirt collars, they are handmade from the finest sterling silver, and they come beautifully presented in one of our signature gift boxes. 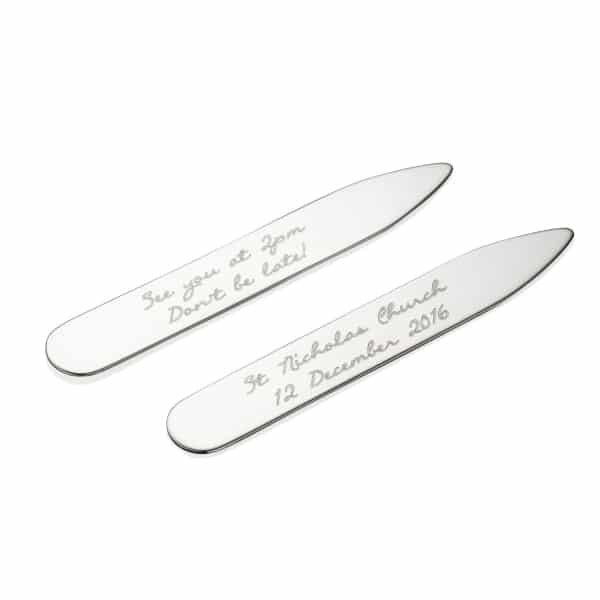 Supplied as a pair, our Silver Collar Stiffeners can be personalised with the text of your choice, which will be applied by hand and finished to a standard nothing short of perfection. 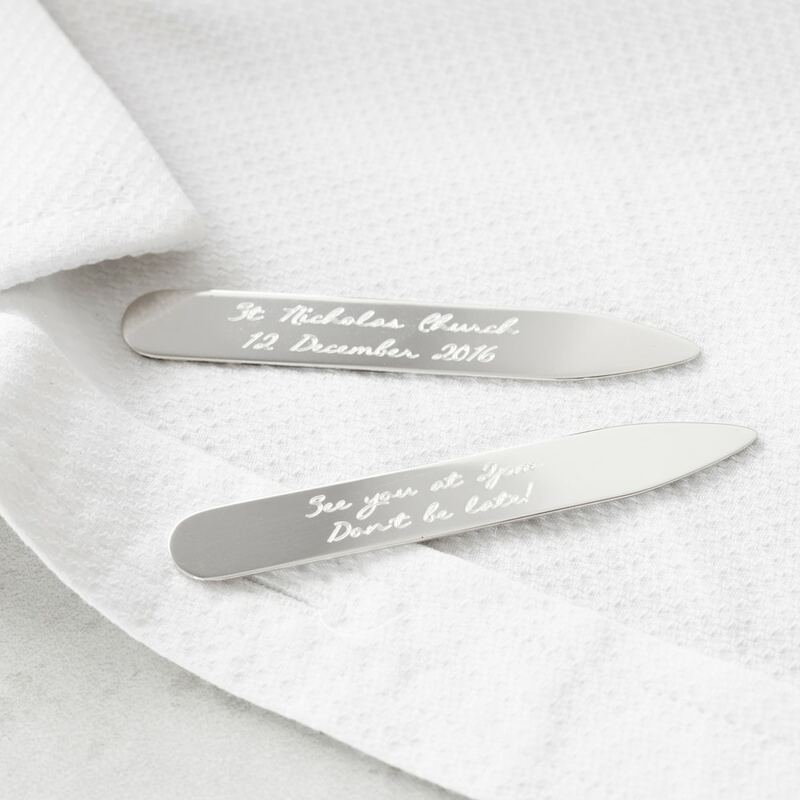 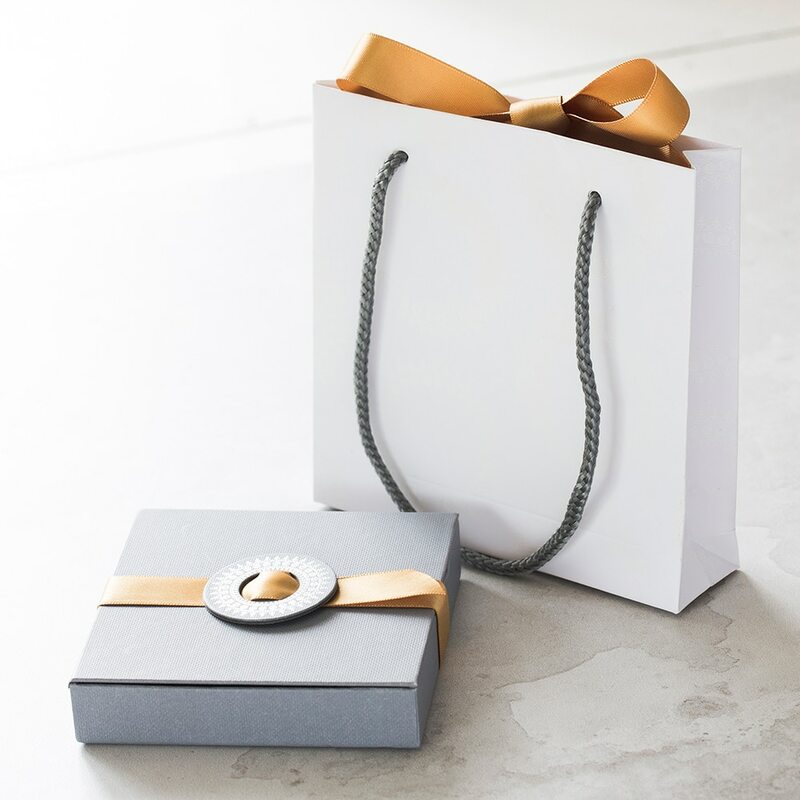 We can add names, a special date, or your own private message of love or encouragement, and create a bespoke silver gift that any man would be proud to wear.